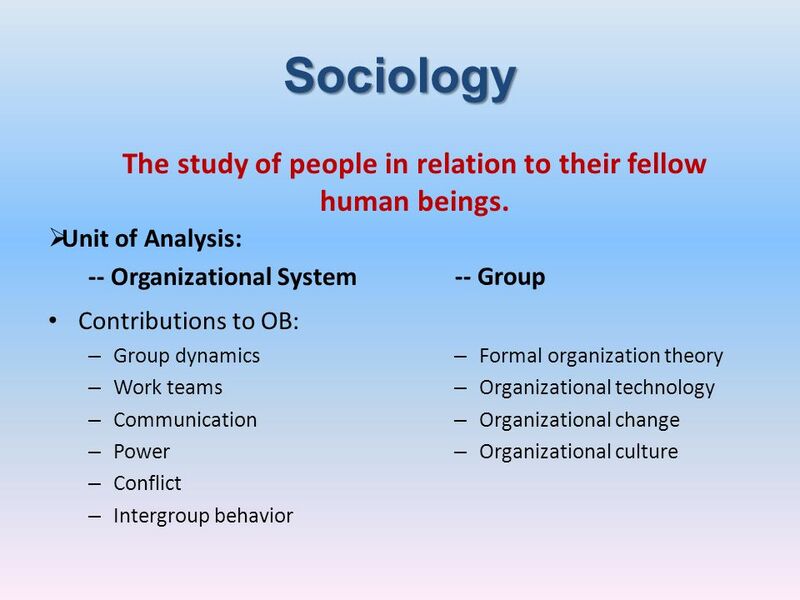 1 What is Organizational Behavior? 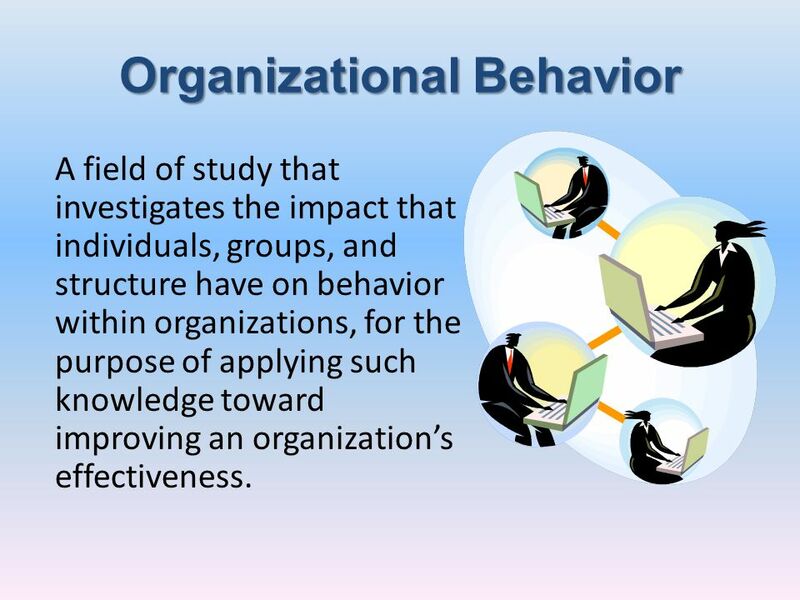 A field of study that investigates the impact that individuals, groups, and structure have on behavior within organizations, for the purpose of applying such knowledge toward improving an organization’s effectiveness. 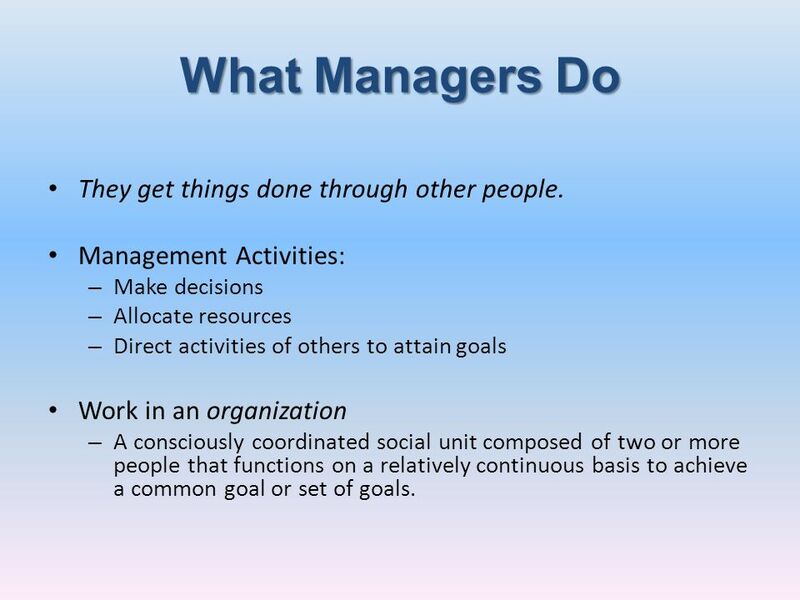 4 What Managers Do They get things done through other people. 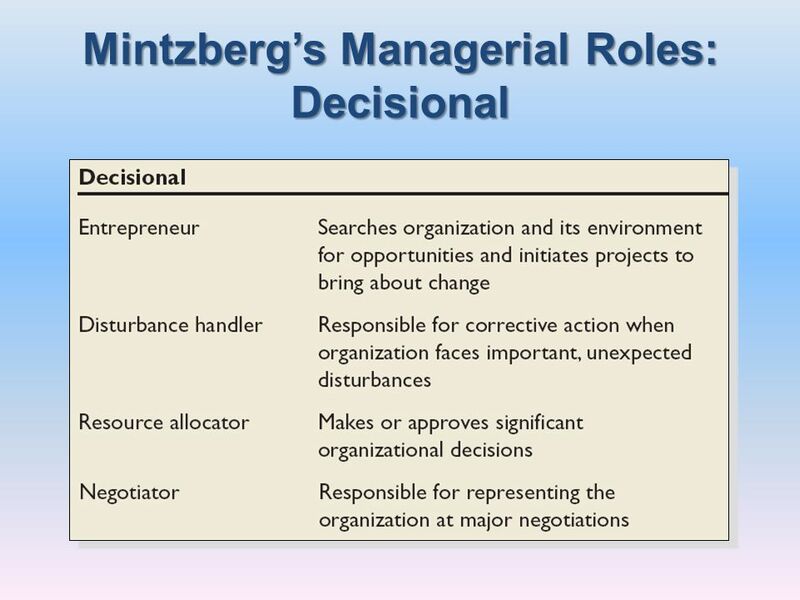 Management Activities: Make decisions Allocate resources Direct activities of others to attain goals Work in an organization A consciously coordinated social unit composed of two or more people that functions on a relatively continuous basis to achieve a common goal or set of goals. 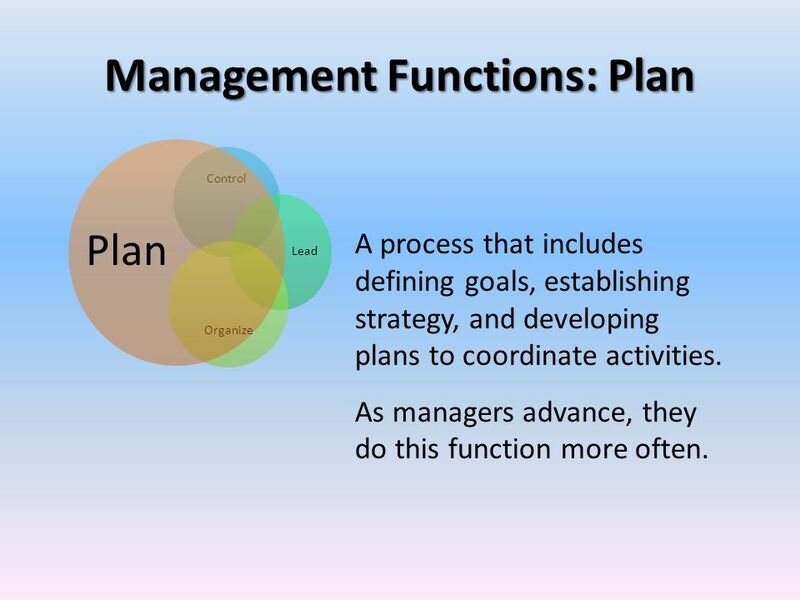 Control Lead Organize Plan A process that includes defining goals, establishing strategy, and developing plans to coordinate activities. 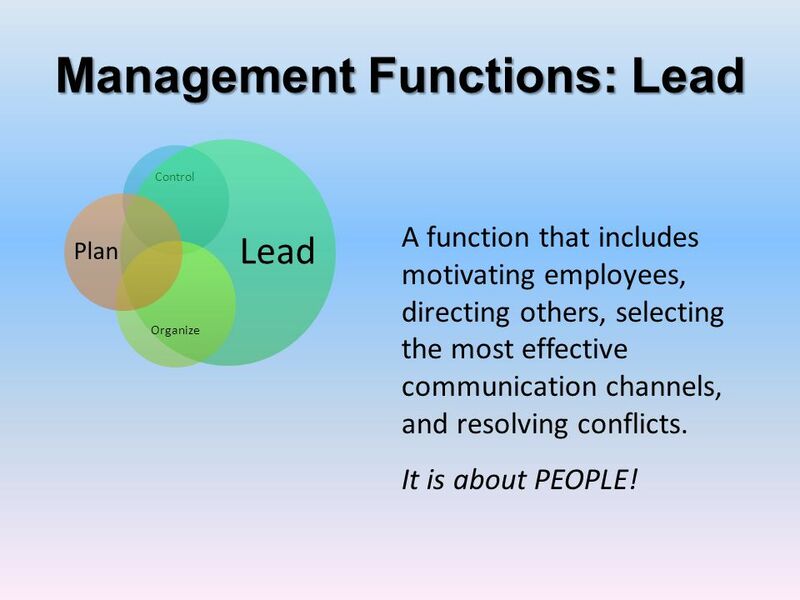 As managers advance, they do this function more often. 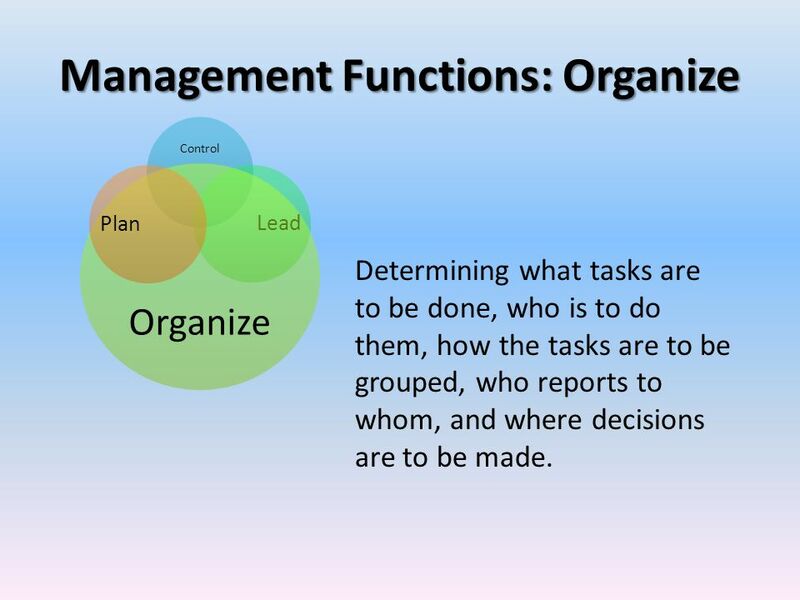 Control Lead Organize Plan Determining what tasks are to be done, who is to do them, how the tasks are to be grouped, who reports to whom, and where decisions are to be made. 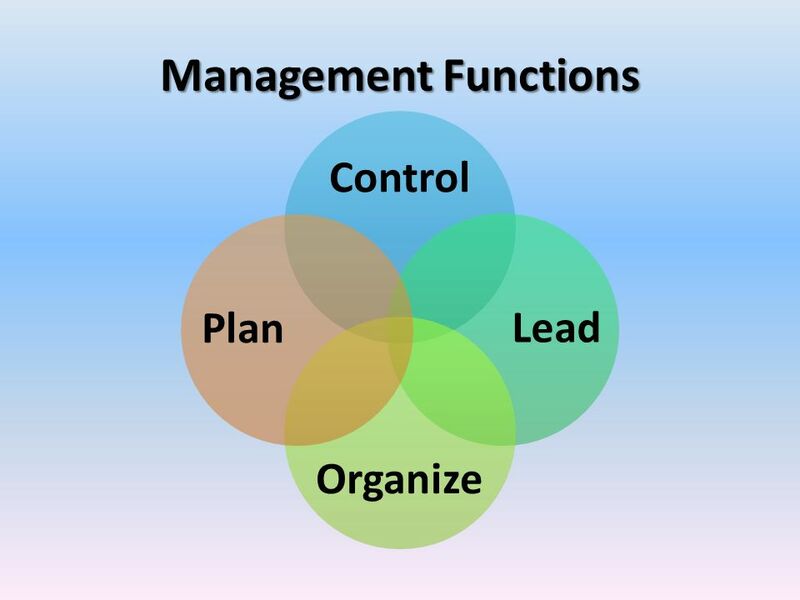 Control Lead Organize Plan A function that includes motivating employees, directing others, selecting the most effective communication channels, and resolving conflicts. It is about PEOPLE! 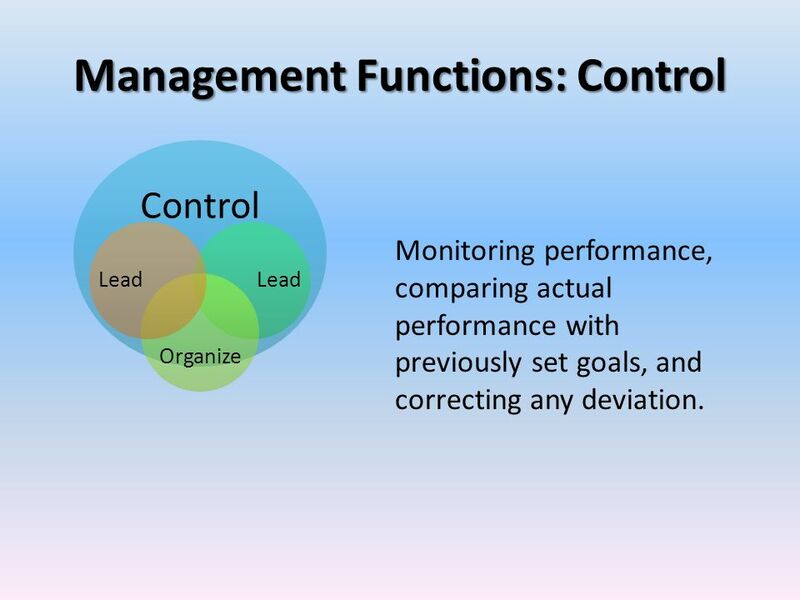 Lead Organize Monitoring performance, comparing actual performance with previously set goals, and correcting any deviation. 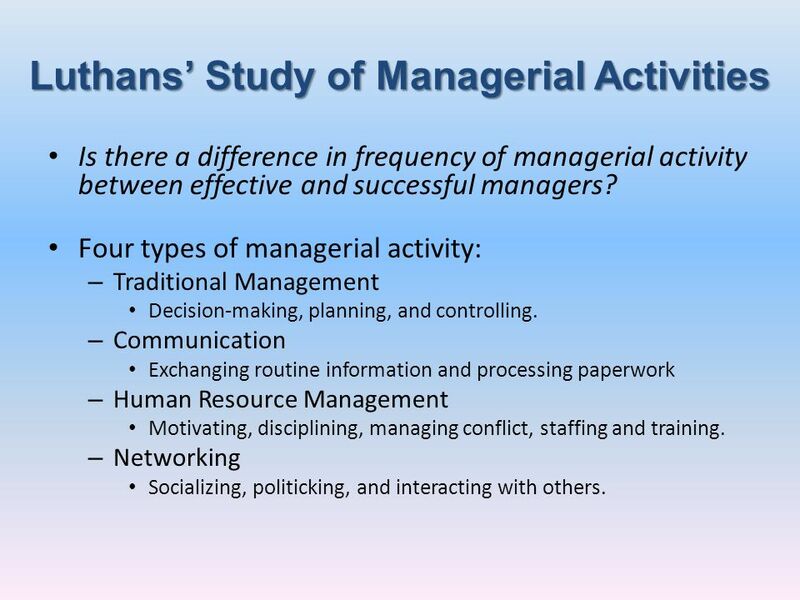 Is there a difference in frequency of managerial activity between effective and successful managers? 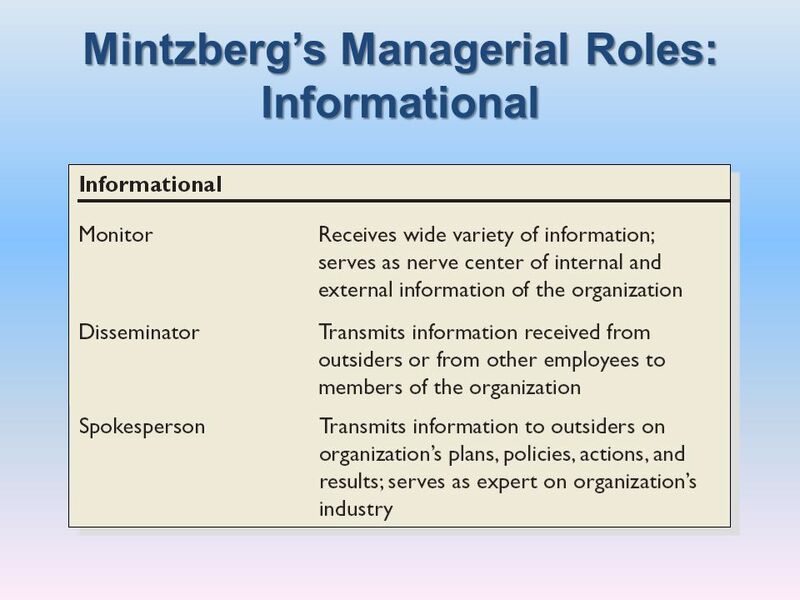 Four types of managerial activity: Traditional Management Decision-making, planning, and controlling. 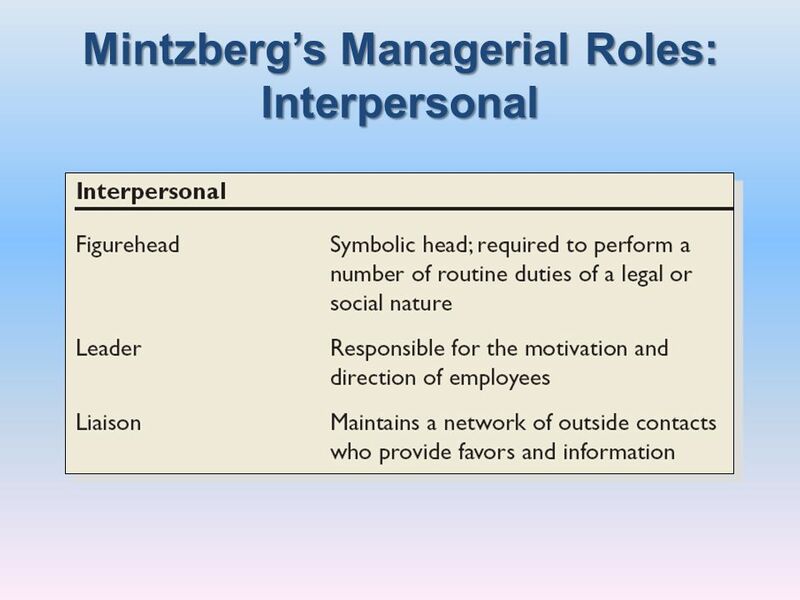 Communication Exchanging routine information and processing paperwork Human Resource Management Motivating, disciplining, managing conflict, staffing and training. Networking Socializing, politicking, and interacting with others. The trick is to know when to go with your gut. 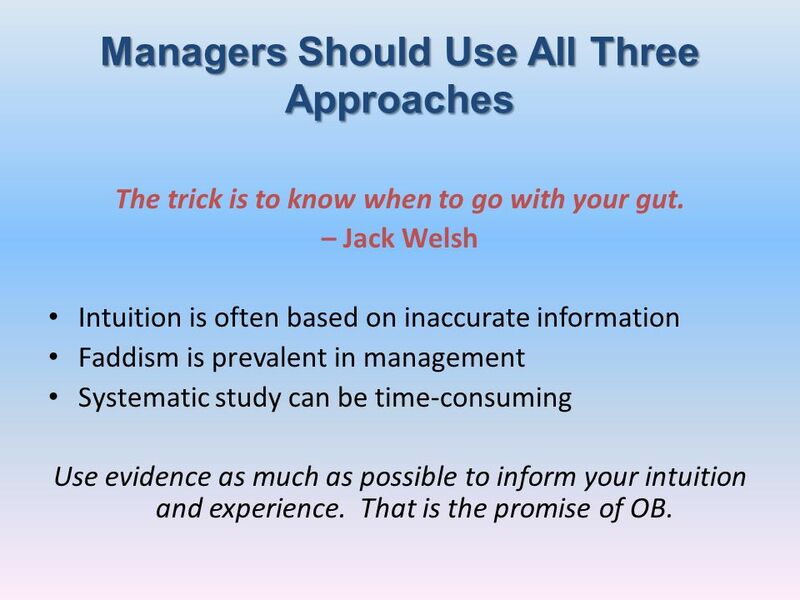 – Jack Welsh Intuition is often based on inaccurate information Faddism is prevalent in management Systematic study can be time-consuming Use evidence as much as possible to inform your intuition and experience. That is the promise of OB. 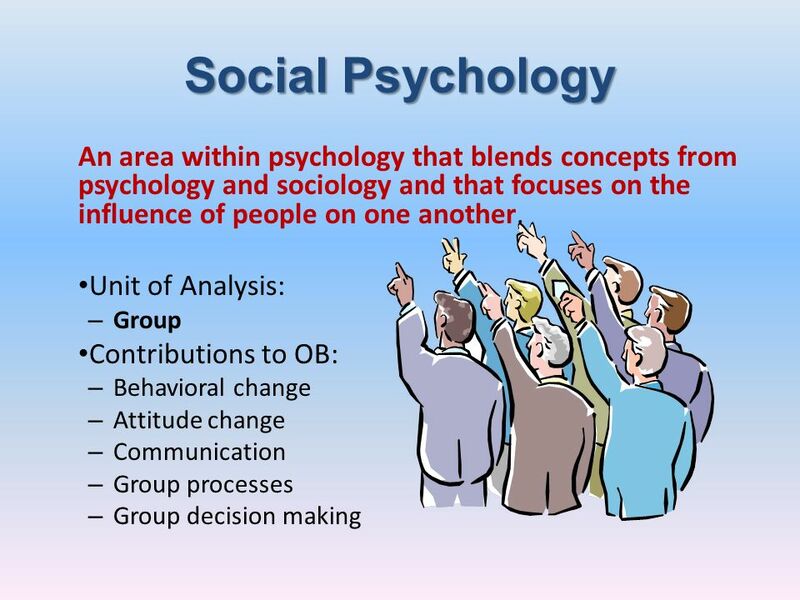 19 The study of people in relation to their fellow human beings. 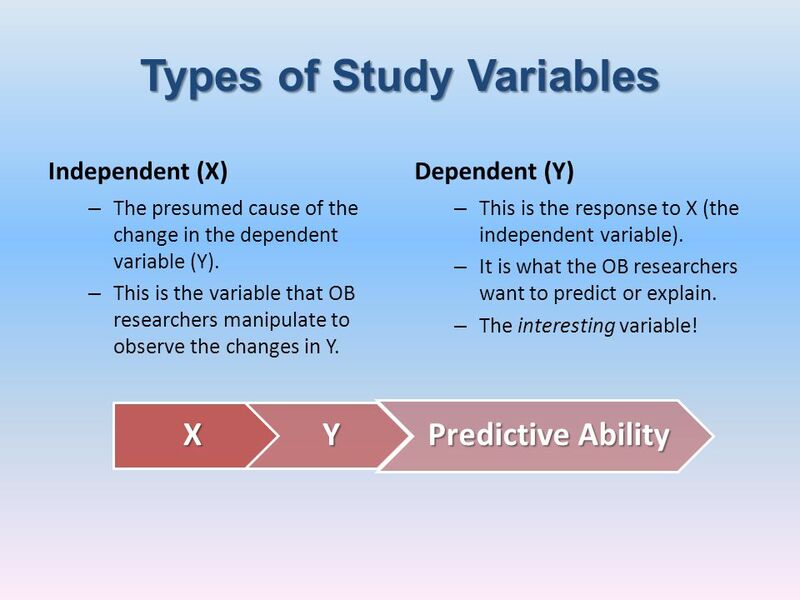 Productivity Transforming inputs to outputs at lowest cost. 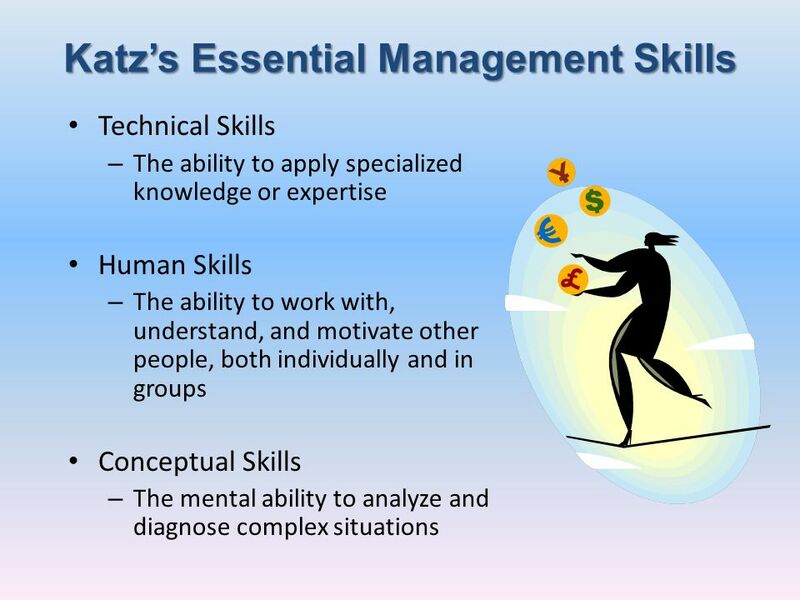 Includes the concepts of effectiveness (achievement of goals) and efficiency (meeting goals at a low cost). Absenteeism Failure to report to work – a huge cost to employers. 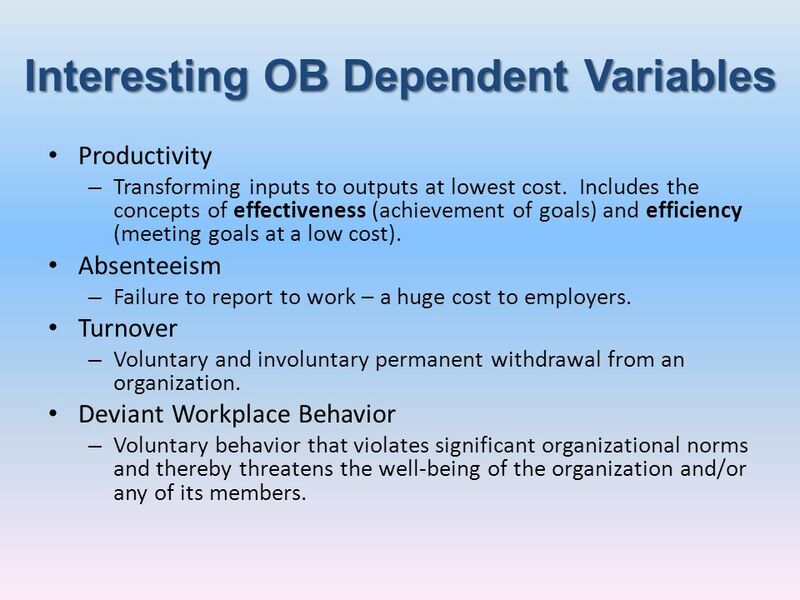 Turnover Voluntary and involuntary permanent withdrawal from an organization. 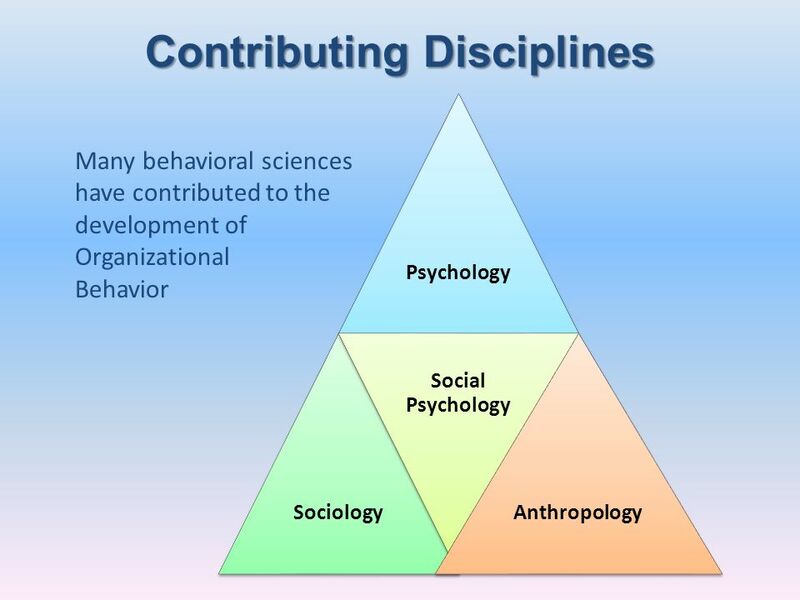 Deviant Workplace Behavior Voluntary behavior that violates significant organizational norms and thereby threatens the well-being of the organization and/or any of its members. 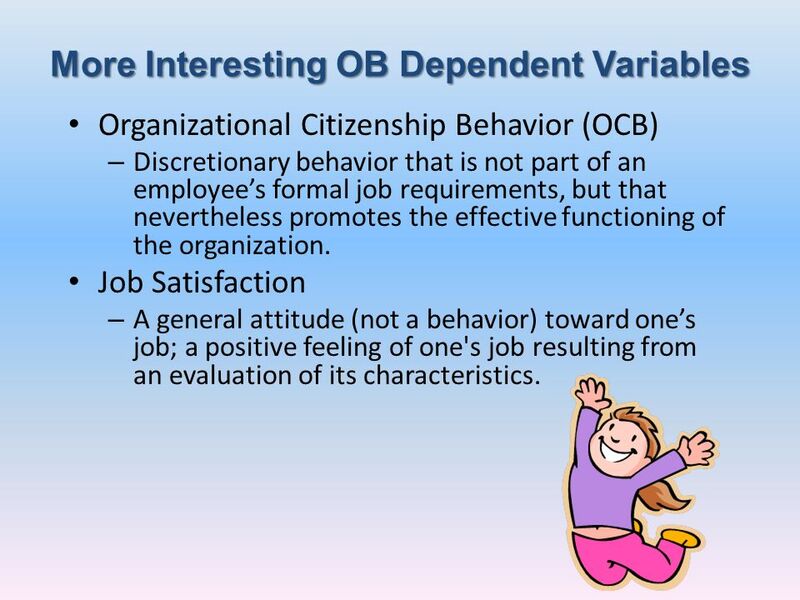 Organizational Citizenship Behavior (OCB) Discretionary behavior that is not part of an employee’s formal job requirements, but that nevertheless promotes the effective functioning of the organization. Job Satisfaction A general attitude (not a behavior) toward one’s job; a positive feeling of one's job resulting from an evaluation of its characteristics. 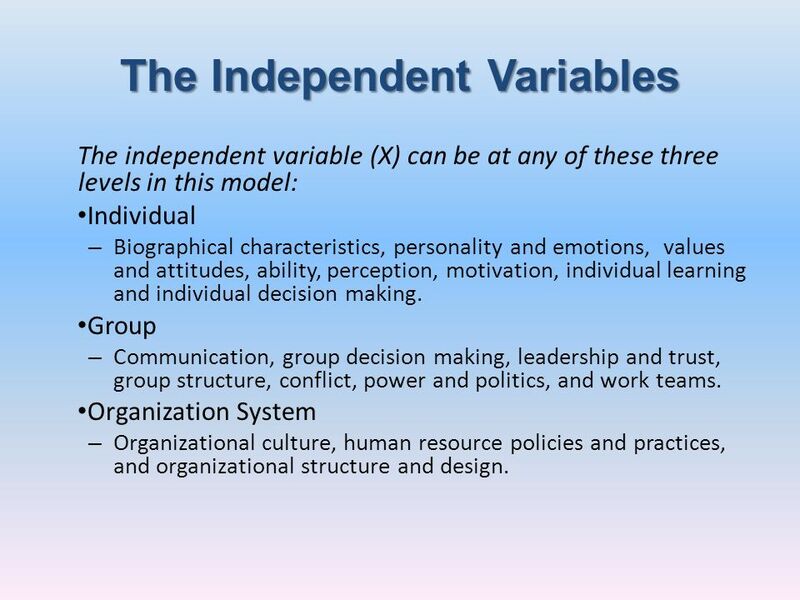 The independent variable (X) can be at any of these three levels in this model: Individual Biographical characteristics, personality and emotions, values and attitudes, ability, perception, motivation, individual learning and individual decision making. 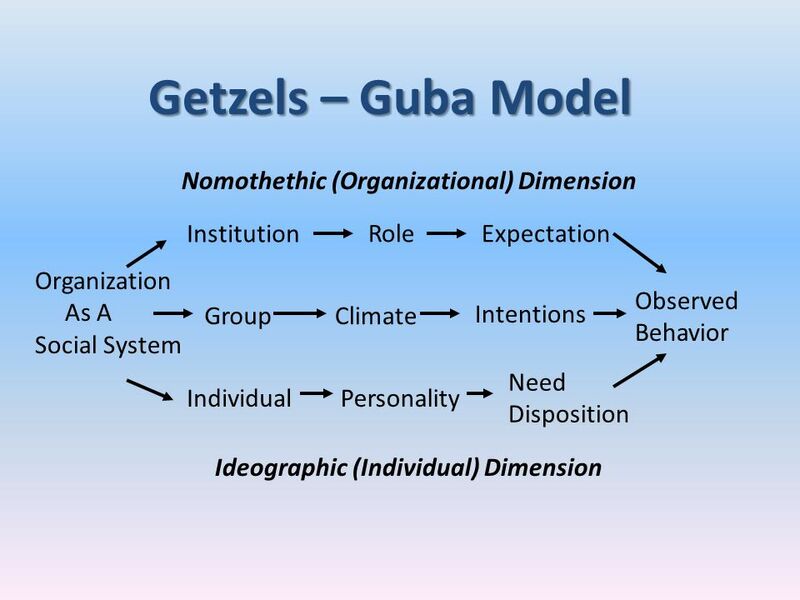 Group Communication, group decision making, leadership and trust, group structure, conflict, power and politics, and work teams. 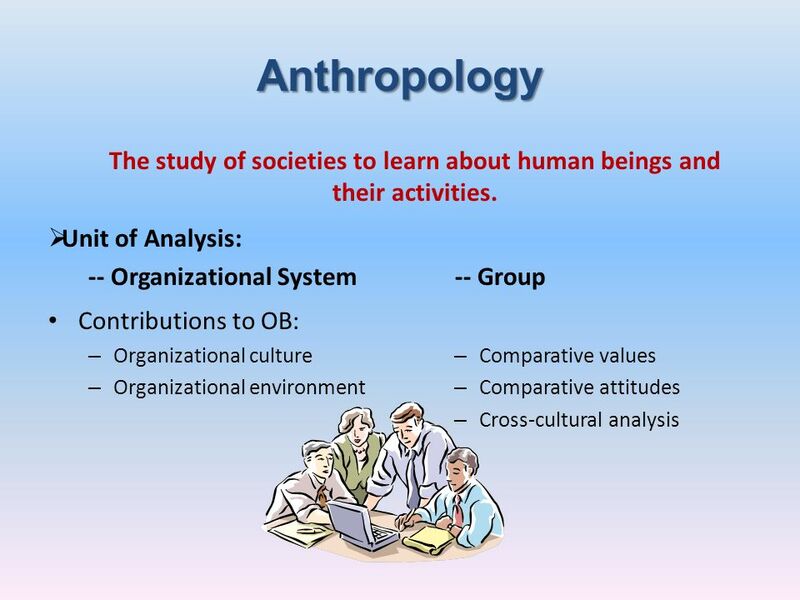 Organization System Organizational culture, human resource policies and practices, and organizational structure and design. 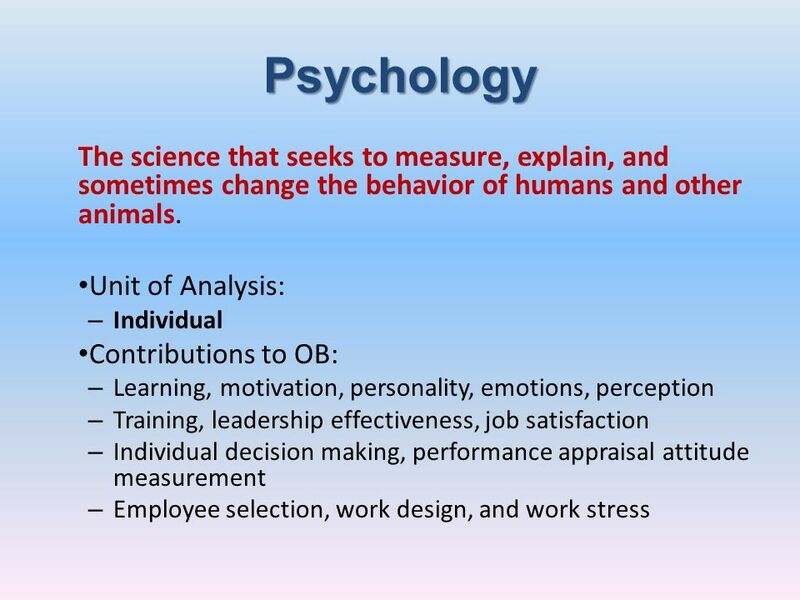 Download ppt "What is Organizational Behavior?" 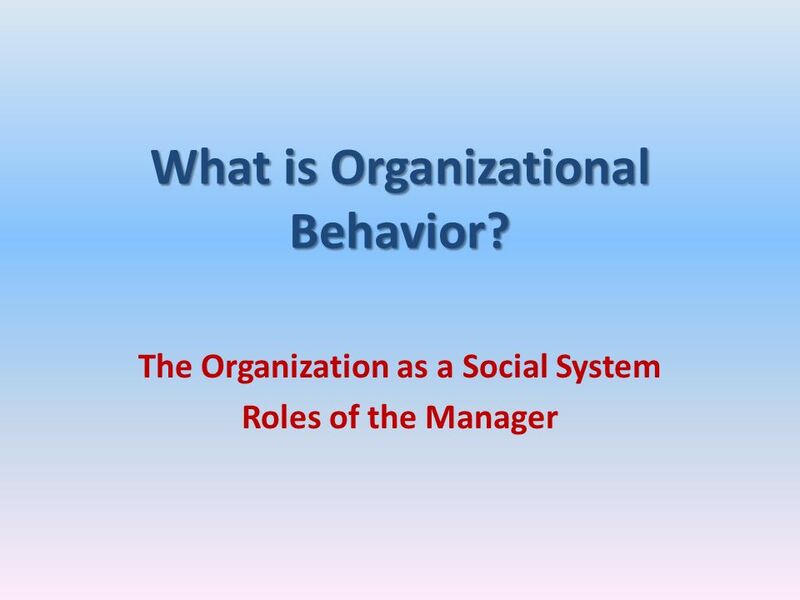 ORGANIZATIONAL BEHAVIOR T E N T H E D I T I O N. AFTER STUDYING THIS CHAPTER AND LISTENING TO MY LECTUER,I HOPE THTAT YOU WILL BE ABLE TO: 1.Define organizational. Adeyl Khan, Faculty, BBA, NSU Why do you like your job Janet Orlando- Page 5. O r g a n i z a t i o n a l b e h a v i o r e l e v e n t h e d i t i o n.
1 Agenda 1) Any questions? Are we all set? 2) Guest speakers begin this week 3) What is due on Thursday? 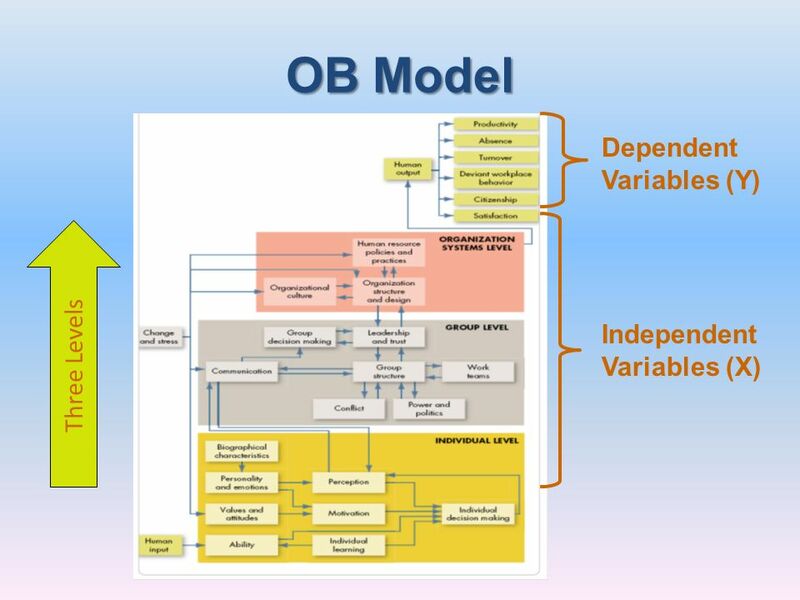 4) Chapter 1 - What is Organizational Behavior?